We visited south of France for the Happy Punk festival. 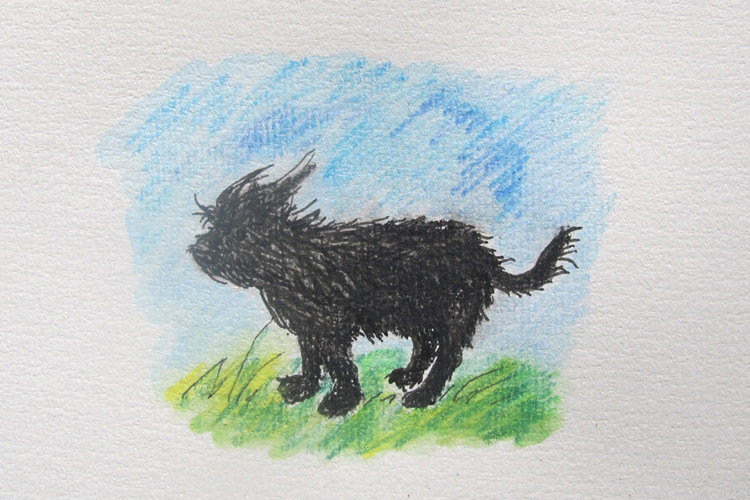 We fell in love with Fred’s chien Scarlet, the best punk dog ever. 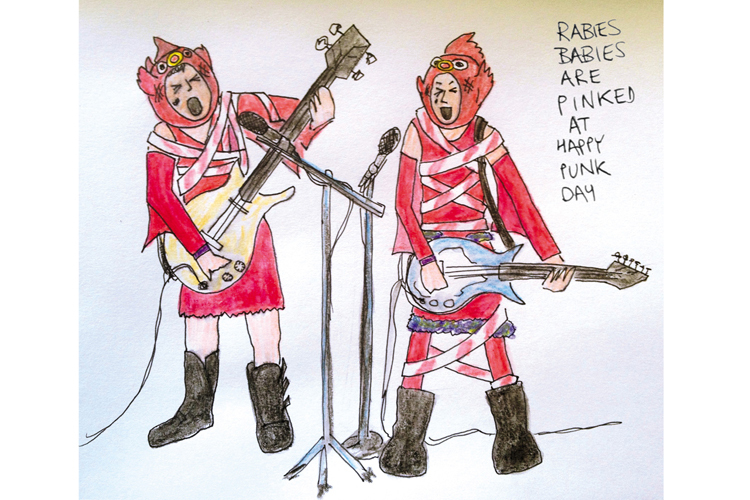 Pink decided to improve our fish costumes with some red tape. Ohhh la la! 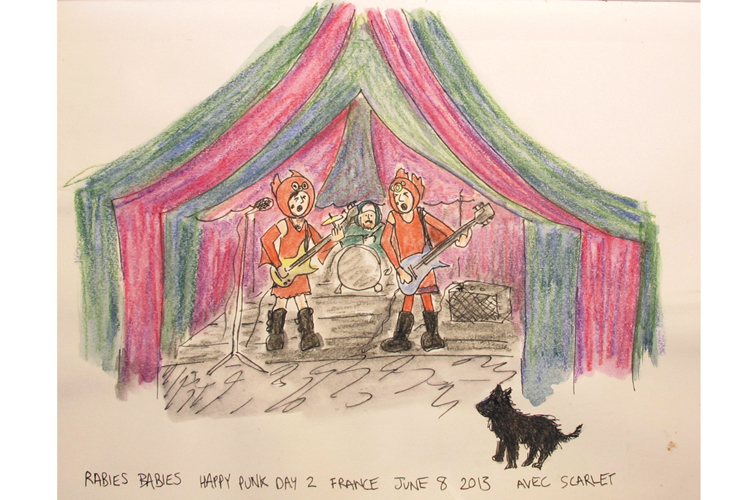 Rabies Babies love le France!